The quilt above is for Emilee, Barb’s oldest granddaughter. It was made from fabric purchased at Paducah in 2010 (5 yard quilts) and finished in December of 2010. 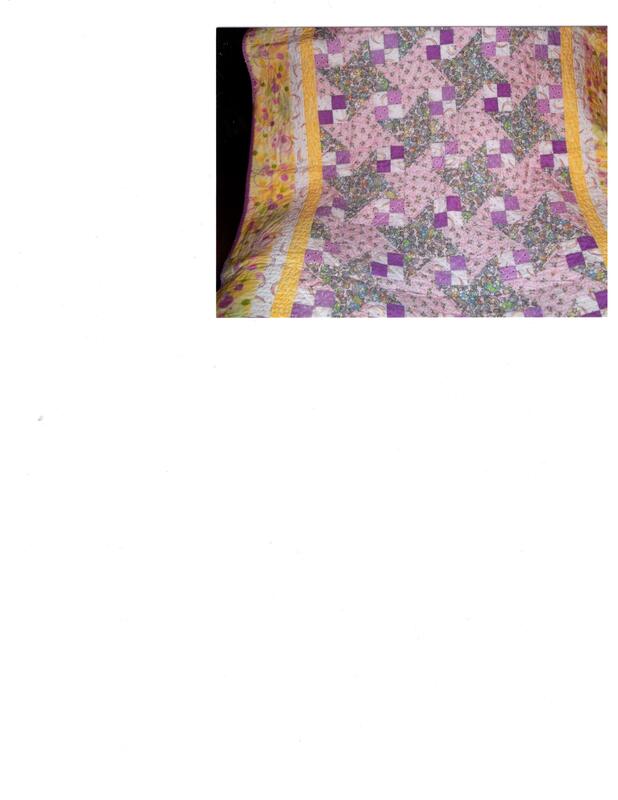 This is a baby quilt for Piper Mae, Barb’s new granddaughter born in May of 2011. 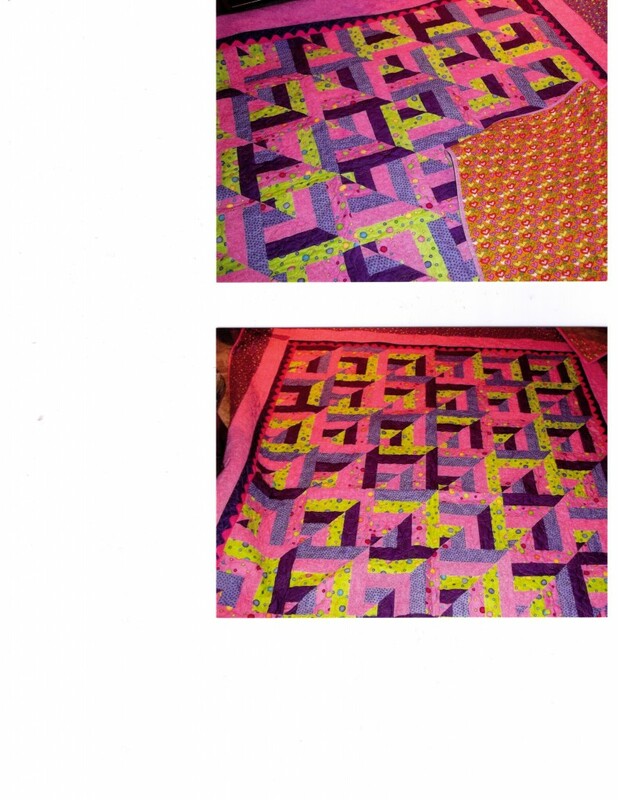 The quilt is made entirely from stash fabrics! 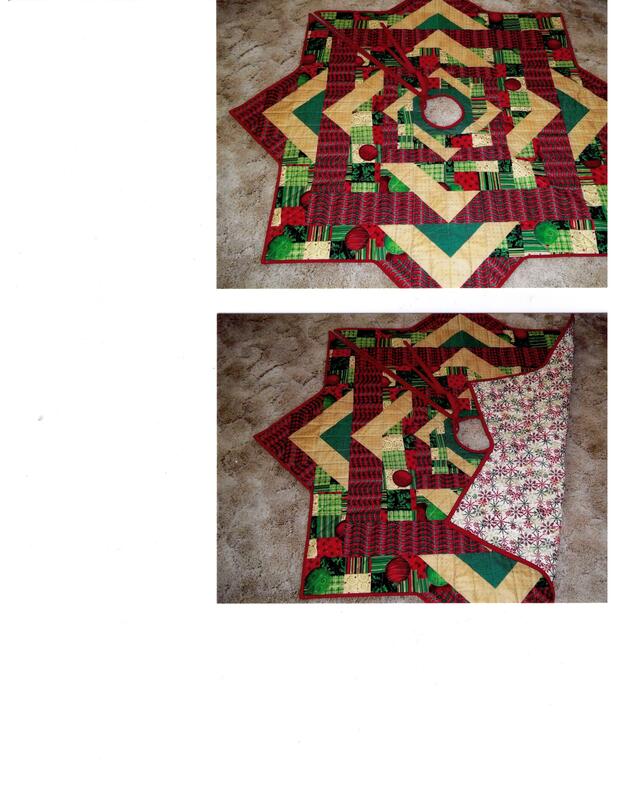 These last two pictures are of a tree skirt that Barb made in October from her stash fabrics for Kerri & Brent. This entry was posted in Paducah Pals by marcia. Bookmark the permalink.